The death this week of Joan Marie Johnson Faust, sad as it is, does call to mind something good and enduring: the "girl groups" of the 1950s and 1960s. Actually, the "girl groups" label is unfortunate. Accurate. Just unfortunate. But before we get to that, let us praise Joan Marie Johnson's group, the Dixie Cups, who started singing together in 1963 and a year later recorded "Chapel of Love." "Chapel Of Love" remains one of the great and most exhilarating songs from an era that produced a multitude of both. When people talk about the darkness, turmoil and trouble of the 1960s, they sometimes don't realize or remember that the decade also produced countless sunbursts of optimism and joy. 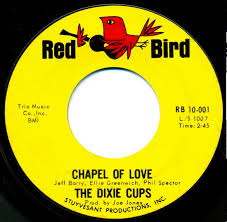 Nothing illustrates its sunny side more exuberantly than "Chapel of Love." It hit No. 1 on the Billboard charts in June of 1964, a year after a teenage Joan Marie Johnson - Faust later became her married name - stopped Barbara Hawkins on her way to the store. While Johnson and Hawkins both lived in New Orleans's Calliope housing projects, they weren't really acquaintances - even though they were also cousins, a fact they would realize some time later. On this occasion, Johnson simply asked Hawkins if she would join a vocal group Johnson and her brother had formed to compete in a St. Augustine High School talent show. Hawkins said sure, and a few rehearsals later Hawkins's sister Rosa Lee joined them. They lost the talent contest, but caught the eye of Joe Jones, a New Orleans music promoter who had a top-five hit in 1960 with "You Talk Too Much." Jones eventually drove the trio to New York, along with seven other New Orleans singers he hoped to promote and manage. Since New York and the Brill Building were the center of the pop music world, that was the smart place to shop them. Meanwhile, newlywed New York songwriters Ellie Greenwich and Jeff Barry were writing another song about marriage. While their own union would only last a few years, at this point they were feeling pretty happy about it. Top that for pure joy and uncompromised faith in possibility. Phil Spector, who had helped write the song, envisioned it as a Crystals single, so he produced a recording by Darlene Love and the Blossoms. He didn't feel it came out right. He tried it again with the Ronettes. He didn't like that version, either. So Greenwich and Barry asked writer/producers Jerry Leiber and Mike Stoller, who had a distribution deal with United Artists Records, if they could record it with someone else and sell it there. Stoller brought Johnson and the Hawkins sisters to Greenwich and Barry. They sang "Chapel of Love." And that was it. Sweet fruit from a time when pop music so often bloomed in sheer wonderful randomness. As it happened, Leiber and Stoller had also just decided to start their own label, Red Bird, and hired George Goldner to run it. Goldner was a brilliant record man who had produced the likes of Frankie Lymon and the Teenagers and owned several labels of his own. He also had a gambling habit that plunged him into such perpetual debt he lost them all. Barry, Greenwich and Stoller gave Goldner the "Chapel of Love" demo. He played it for Leiber, who didn't like it. Goldner said he'd bet his life - he would apparently bet on anything - it would be a hit. He won. 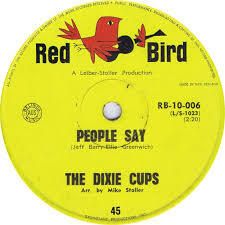 It was the first record on Red Bird and sold more than a million copies. 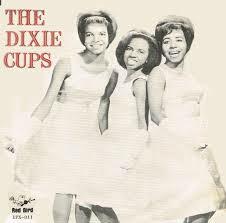 The Dixie Cups didn't have a long radio career, but they scored two more top-20 hits, the New Orleans folk classic "Iko Iko" and the ballad "People Say," which was just as optimistic as "Chapel of Love" with an underlay of defiance. Ironically, the group's success eventually forced Johnson out. She suffered from sickle cell anemia and touring was just too painful. So she left, though the three remained on good terms and she joined them periodically over the years before her death on Wednesday at the age of 72. 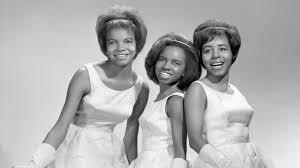 The Hawkins sisters, also in their 70s, have sung "Chapel of Love" everywhere over the years, including, yes, at weddings. They continue to sing it today, which is a good reminder that without the female groups of the '50s and '60s, from the Shirelles to the Supremes, we would not have the path that led to the Madonnas and Beyonces. It just wouldn't be there. That makes it frustratingly ironic that so much of the 60-year history of rock 'n' roll is still written in terms of guys with guitars, as if they were the motor that powered the boat, while all others were just day trippers with toy paddles. Sadly, that's a reflection of industry attitudes - and okay, American attitudes - that predate Bessie Smith and Billie Holiday. Women get less opportunity, less respect. Decades into the rock 'n' roll era, many rock and top-40 radio stations wouldn't play records by two female artists in a row. They insisted it would drive away listeners. Arlene Smith, lead singer of the great pioneer vocal group the Chantels - who still aren't in the Rock and Roll Hall of Fame - remarked a few years ago that she disliked the term "girl groups" because it trivialized them. However useful as shorthand, it carried this clinging connotation that they were some sort of cute fringe novelty act, not serious artists. She had a point, which deserves a larger discussion. For today, let's just say thanks again for "Chapel of Love," and the women who sang it.